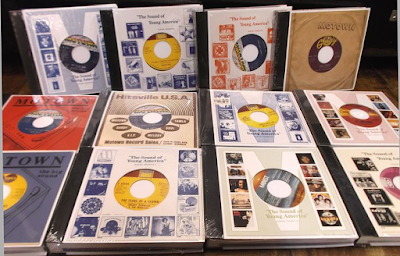 By 1968, the great days of Motown's commercial success in the singles charts was slightly on the wane, but only slightly. Rock artists like The Beatles, The Rolling Stones and The Beach Boys were concentrating on putting out quality albums as well as singles, and while Motown artists had always released albums, they were often of the "singles and over versions" variety. Stevie Wonder and The Temptations started to change that around now, and Diana Ross & The Supremes even got in on the act with their "socially conscious" "Love Child" album. 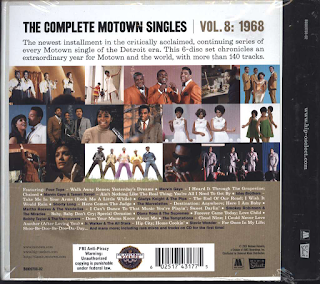 So, Motown acts were looking to put out more serious songs, often "message" songs, and some of these begin to make their presence felt here, such as The Temptations' funky "Cloud Nine", Diana Ross's afore-mentioned "Love Child", Smokey Robinson's "I Care About Detroit", Martha Reeves' war-influenced "Forget Me Not". 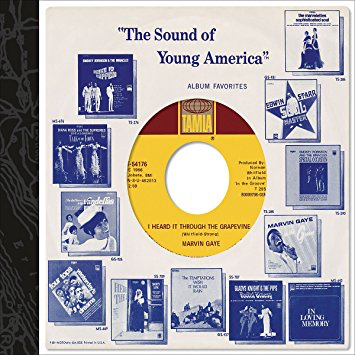 These are still in the minority, however and there are some absolute killer "Motown Sound" singles on this collection. Also, some excellent rarities too, like the soulful "Why The, Why Me" by Abdullah, Debbie Dean's "Why Am I Loving You", The Fantastic Four's "I Love You Madly" and Chuck Jackson's Northern Soul-ish "Girls Girls Girls". An interesting piece of trivia is that Eddie Holland rated The Four Tops' "I'm In A Different World" as the best song he ever wrote. Hmmm. I like it, sure, it's ok, but the "best ever"? Many more candidates around. He wrote them though, so it's his choice. "It Should Have Been Me" is indeed the original version of the song that charted much later in 1976 for Yvonne Fair. 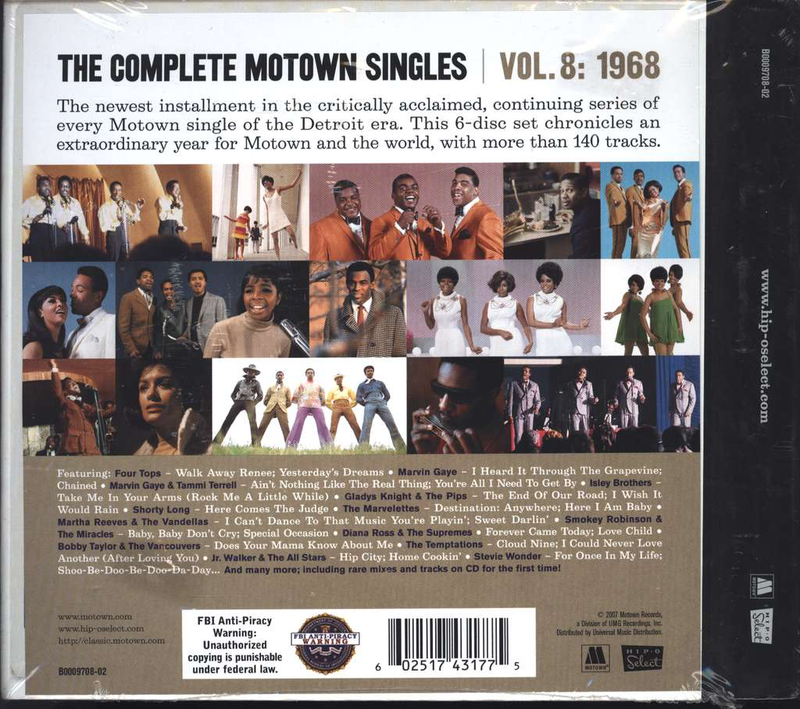 Like 1964, another year of comparative transition for Motown.